One question that comes up a lot is, are purple diamonds real? 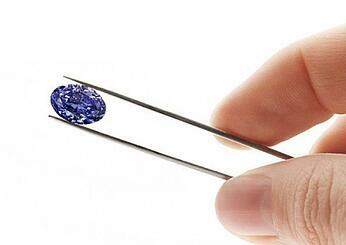 Purple diamonds do exist and are extremely rare. Let’s take a look at how these colored diamonds get their vibrant hues. Just like the way colorless diamonds are formed through a highly pressured process involving carbon molecules, colored stones go through a similar process. However, it is when other elements find their way into the mix that a hue starts to form. Although gem experts are not certain about how purple and violet diamonds obtain their color, it's theorized that the combination of boron and hydrogen plays a part. If a stone simply has boron imperfections in its anatomical features, it would present as a blue color. It’s the addition of hydrogen that brings out the purple in these diamonds. 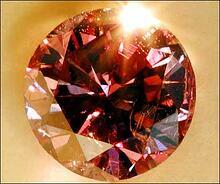 An example of a diamond under this category could be a stone such as a 'Fancy Purple Pink' diamond. An example of a diamond under this category could be a stone such as a 'Fancy Violet Gray' diamond. The price of a purple diamond can vary from stone to stone. The type of modifier and how much it affects the color of the stone will impact pricing. Depending on the color of the modifier, the value will either increase or drop. For more reading on color modifiers and their affect on price, click here. 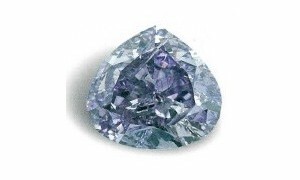 The intensity rating of a purple diamond can also affect the price and value. This measurement defines the strength of a color. For purple diamonds, there are 6 different intensity levels: Fancy Light, Fancy, Fancy Intense, Fancy Dark, Fancy Deep, and Fancy Vivid. Since these diamonds are very hard to find, where have they been found in the past? The most obvious location from the bunch is the Argyle mine in Australia. This location is responsible for roughly 90% of all colored stones produced in the world. However, this location is projected to shut down by the year 2020. Other locations where purple diamonds have been found include Russia, Brazil, and Canada. Purple diamonds are often held to very high standards. The color represents wealth, royalty, power, and ambition. Let's take a look at 3 of the most famous purple diamonds in history. This stone is a 7.34 carat Fancy Vivid Purple diamond. Currently, it is the largest Fancy Vivid Purple diamond known to exist. The gem originated from Russia and was entrusted to the Julius Klein Diamond Corporation to be cut. The best feature of this diamond is its beautiful heart shape cut that brings out its true color. 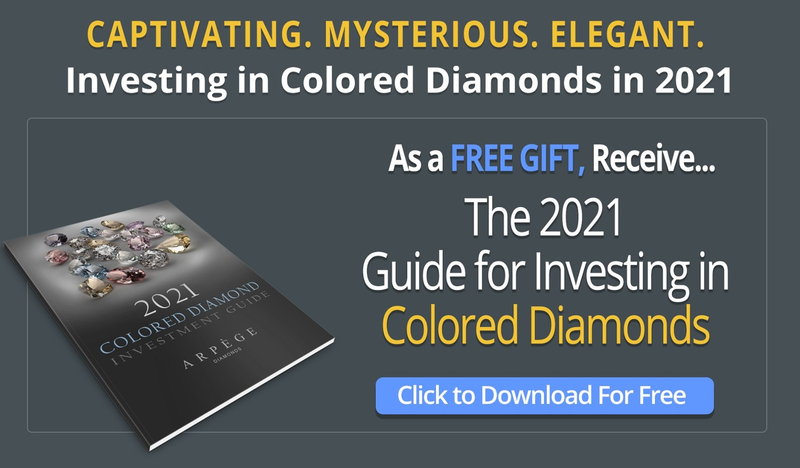 As investors like to stay anonymous with their purchase, the current known location, owner, and value of the diamond is unknown. In 2002, Michael Hing, a British gemologist, was able to examine the diamond and had this to say: "The stone has diagonal surface graining that is clearly visible to the naked eye on the table facet if you look at it under a glancing light. It is not as blue as in your photo [shown above], it’s more purple than lilac. The girdle is very thick in parts, they were obviously trying to retain weight." Unfortunately for diamond enthusiasts and investors, the stone's exact details are very unclear. All that is known about this diamond is that it weighs between 2 to 5 carats and it is flawlessly round in shape. Despite its comparatively smaller size, its captivating color is what makes this diamond so popular. 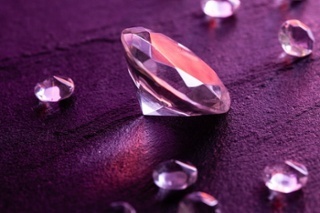 It is said that the diamond's color can show different shades of purple depending on the angle from which it's viewed. This stone was revealed to the world in May of 2016. The diamond originally was found as a 9.17-carat rough, but was cut to an oval shaped 2.83-carat stone. 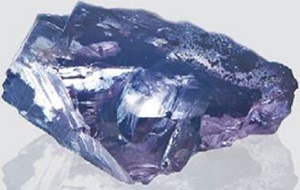 Although a normal cut of a stone results between 40% to 60% loss, the Argyle Violet had 69% of its rough stone cut off. This level of polishing was necessary to expose the true beauty of the stone. Do you have any questions? Which is your favorite purple diamond? Let us know! And as always, feel free to follow us on Twitter and LinkedIn!